Certainly one of the most prolific and hard working artists in the business, Janet Jackson is one of the most influential entertainers of the modern era. After her critically acclaimed and enormously successful “State of the World” tour, which wrapped up December 17, 2017, she extended the outing with a second North American leg that kicked off on July 8th in New Orleans and was slated to wrap in August at the Outside Lands Festival, in San Francisco’s Golden Gate Park. 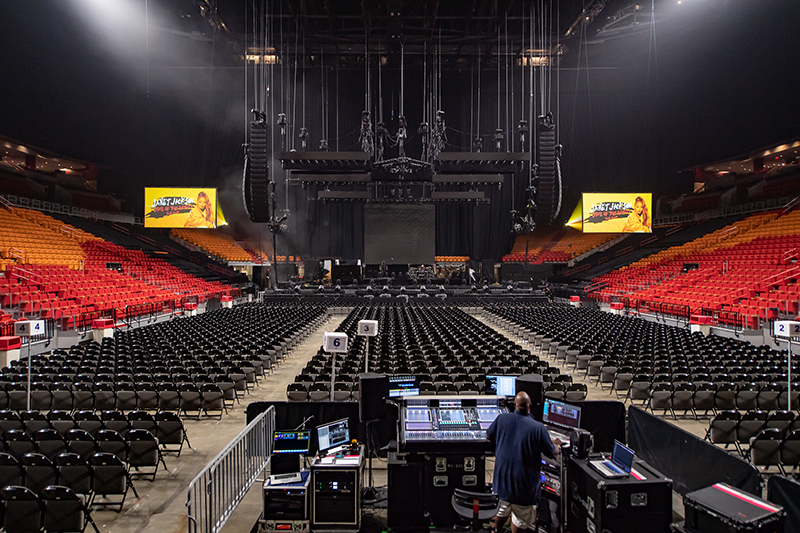 But it’s never say never, as a few additional shows were later added, in New York’s Central Park, the Mohegan Sun Arena (Uncasville, CT) and a finale at the Etess Arena in Atlantic City on October 2. Clearly, the public wants — and can’t get enough of — this global superstar. Jim Roach (monitors); Jarrod Geruntino (monitor tech); and Alex Reeder (stage tech/patch). 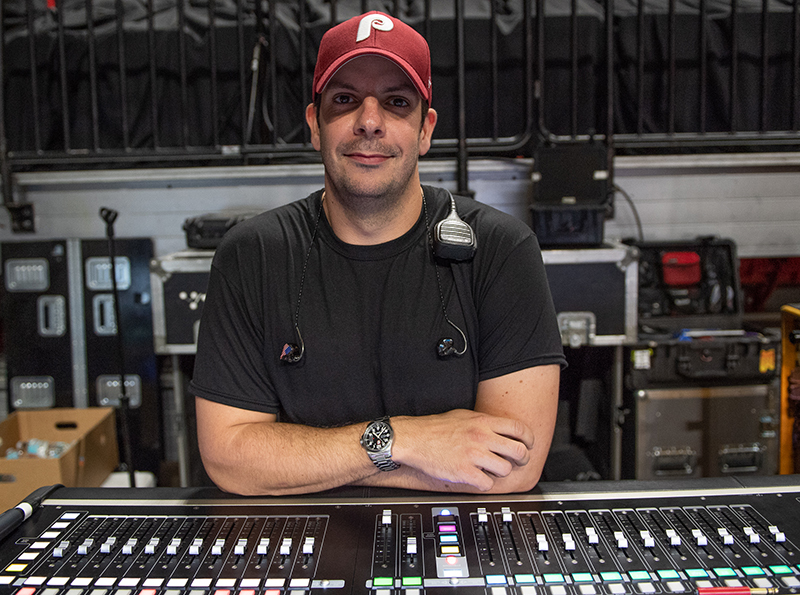 Returning at the helm of this tour is noted front of house engineer Kyle Hamilton, who has been mixing Jackson since 2010. Besides Janet Jackson, Hamilton has a long roster of top acts he has worked with, including Prince, Rihanna, Pharrell Williams, Lionel Richie, Stevie Wonder, Jagged Edge, 112, Nicki Minaj, Chris Brown, Toni Braxton, David Hollister, K-Ci & JoJo, SZA, Mary J. Blige, The Isley Brothers and many more. After he graduated in 1994, Hamilton was involved in doing sound for plays, and worked the theater circuit for a few years. 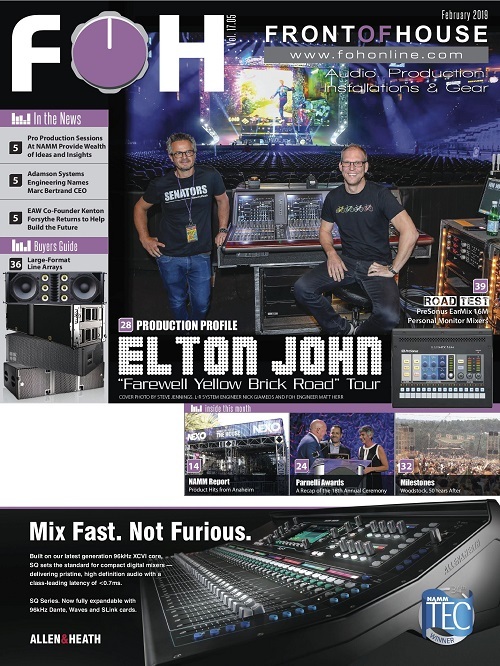 The company that did sound for the plays also did music tours and asked him to go out during the summer as an FOH systems engineer, setting up P.A.s and mixing opening acts. 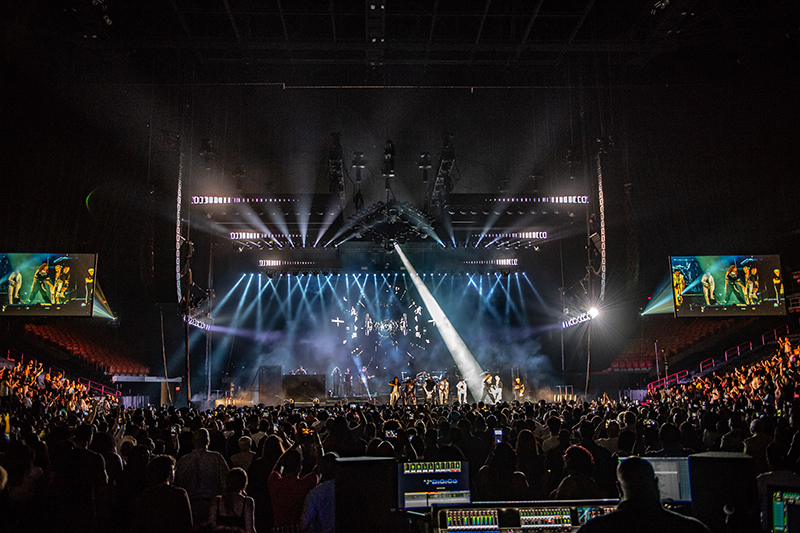 The second North American leg of the tour wrapped up on Oct. 2, at the Etess Arena in Atlantic City and was driven by an all-VUE Audiotechnik rig. 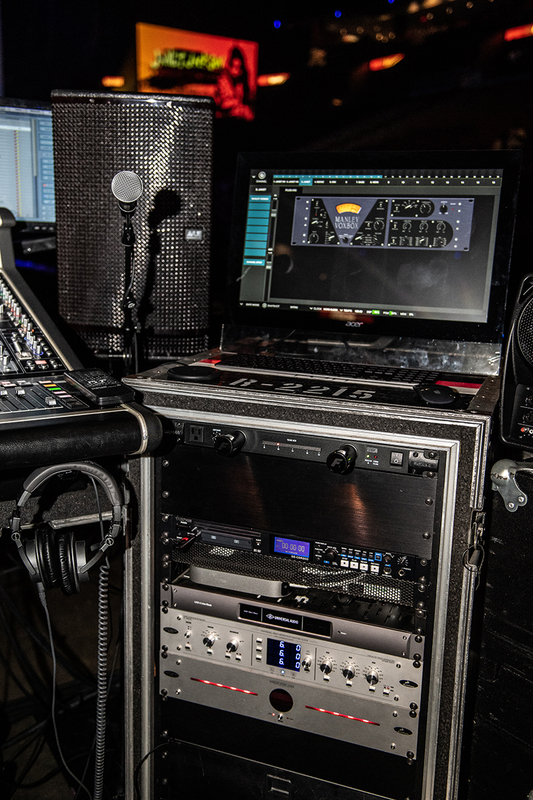 The single rackspace Universal Audio UAD-2 Live Rack connected via MADI to the console and provided all the plug-ins for the FOH mix. 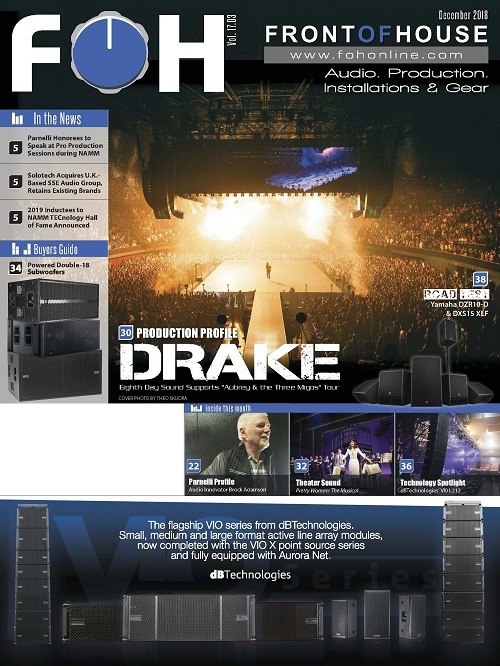 To the left of the monitor is one of the VUE h-8 nearfield speakers Hamilton uses at the FOH position. 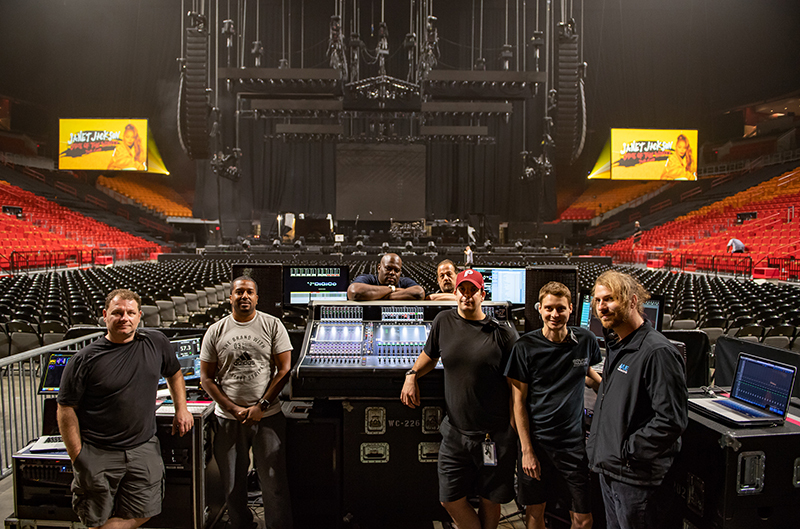 Jeremy Peters, the account rep for audio company Sound Image, worked closely with Kyle Hamilton to put the entire package together — the crew, logistical details and the all-VUE Audiotechnik P.A. system. 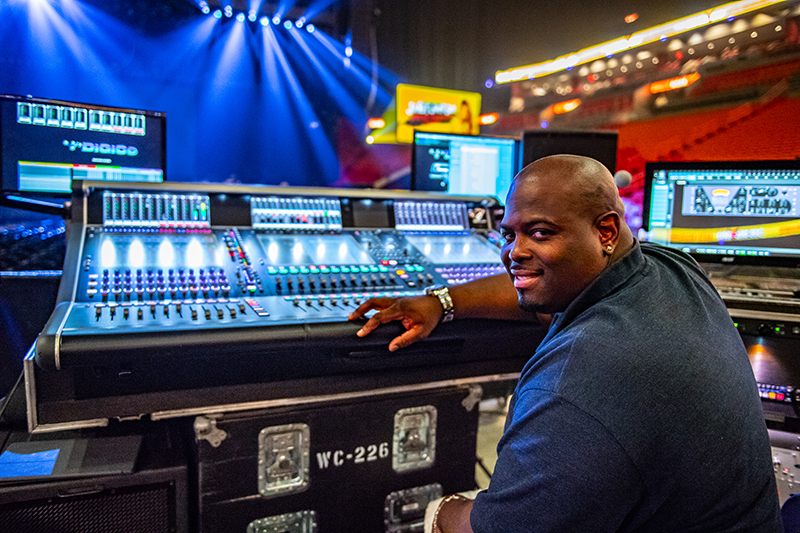 Peters himself is also an in-demand system engineer and monitor/FOH mixer, having worked for Rascal Flatts, Prince, Stevie Wonder and Pharrell Williams, among others. “A lot of people in the R&B/hip hop world don’t really know the level of excellence that Sound Image has; I had a lot of built-up relationships within that community and became an account rep for Sound Image and help bring them into that world,” says Peters, and this of course, included Hamilton. 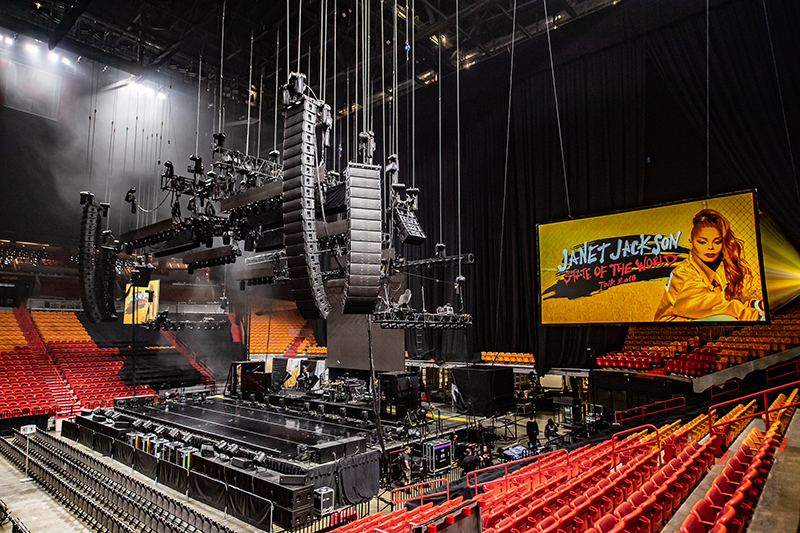 “I had been telling him about VUE for a long time and introduced him to VUE a couple years ago.” After a successful run with VUE’s flagship al-12 large-format line arrays on last year’s Kendrick Lamar tour, both Hamilton and Peters were confident it could handle the grueling demands of Jackson’s “State of the World” tour. 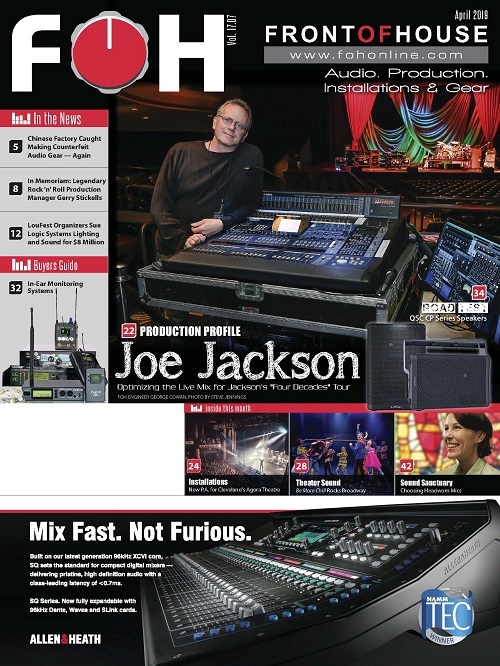 Mixing monitors was engineer Jim Roach, who like Hamilton, was also working on a DiGiCo SD7. Jackson had custom Jerry Harvey Audio JH-16 IEMs and everyone else in the band was also on in-ears. 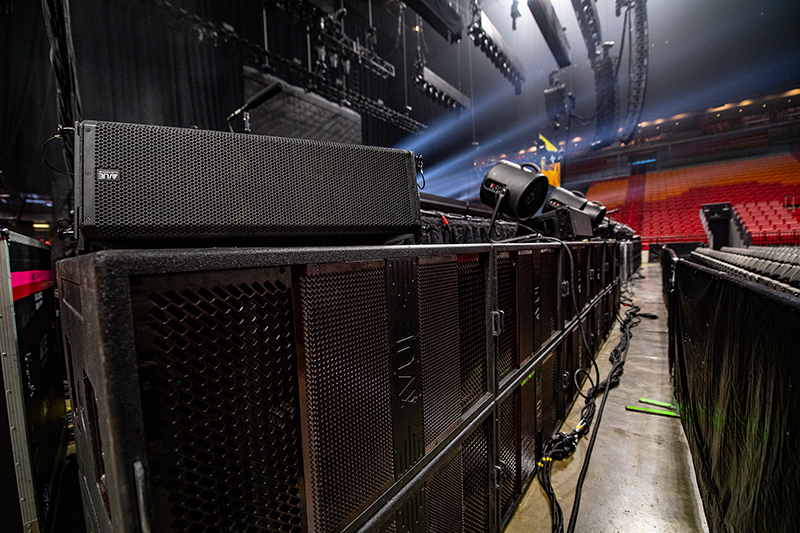 However, “there were a few wedges on stage for guests and some VUE al-12’s with al-12SB subs for an overall fill of the stage and for the dancers,” notes Peters. Hamilton made all the microphone selections. Kick mics are Audix D6s and Shure 91s on internal Kelly Shu mounts. Shure Beta 57As are on snare tops, with KSM-137 condensers on the underside. Toms are Sennheiser 604s. Shure KSM-137s are employed on rides, splashes and hi-hats, with KSM-132s on overheads. The guitar amp is close-miked by a combination of a Royer 121 and a Sennheiser 609. Background singers use Heil RC-35 capsules on Shure sticks. 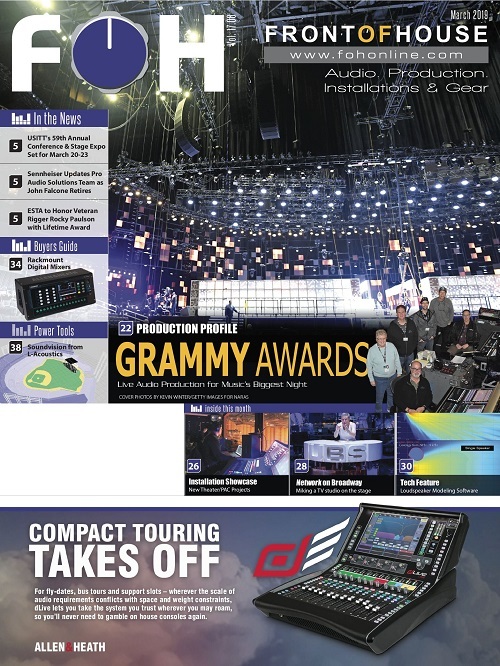 Jackson uses a Sennheiser wireless rig with a Sennheiser 5235 dynamic mic capsule with a “floating directivity” design that’s a tight supercardioid at very high frequencies and cardioid to wide-cardioid at low frequencies. 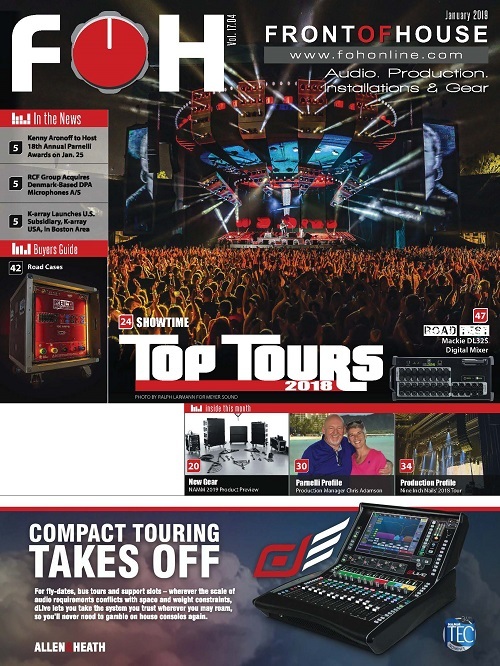 This offers ample HF feedback rejection while retaining a full low-end sound. When she switches to a headset mic, the choice is a cardioid Sennheiser HSP 4 model.